This is me in my studio. 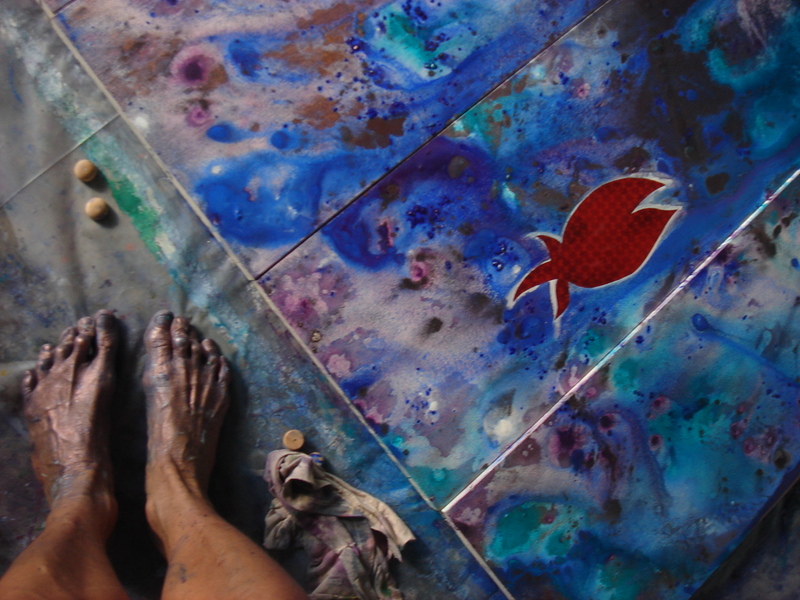 I love painting with my feet! That’s is a six-foot many-paneled screen you see on the floor. So — Think You’re Compassionate?